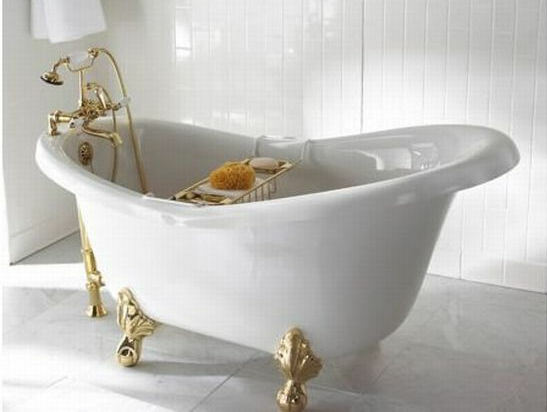 This is where I take time for a luxurious soul bath. In this guided imagery, I lie back in an old-fashioned claw foot bathtub. The water nozzle has a hand-held attachment which my angel who is beside the tub holds. As a child’s body might have mud or grass stains after a hard days play, so to the angel and I work together to scrub away with cleansing soap, those parts of my soul’s body that exhibit traces of fear, anger, sadness, depression, frustration or anything else with which I might be dealing . It is wonderous to witness with extra-sensory vision as each particle of dirty negativity is forced to detach itself from my soul’s skin and be absorbed in the water. After all the negative dirty spots are scrubbed off and I am all clean, I step out of the tub and am dried off with a warm fuzzy towel by the angel. Together we watch the now dirty water swirl down the drain as I am lovingly held in the angel’s arms. Free and at peace from all that negative stuff, the angel tucks me into bed and kisses me on my forehead. From there I fall into a deep restful sleep. This is such a cleansing and rejuvenating ritual when I take the time to do it. I truly feel at peace afterwards. This is for those times when I feel negative stuff coming on like anger or frustration, but don’t have time for a soul shower or bath. What do we do these days when we need to clean our hands but there’s not a sink around? We grab a jar of hand sanitizer. I discovered this practice when I was stuck in traffic. We all know how frustrating traffic can be. As the frustration arose, I imagined reaching for the special bottle of soul sanitizer and rubbing it on my soul’s hands…at a stop light of course. 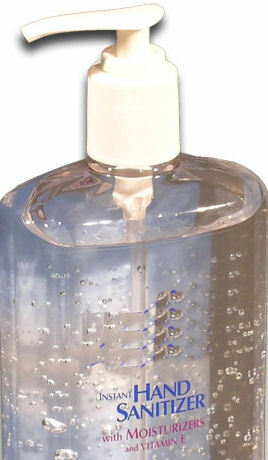 ;-} As I rubbed the sanitizer into my hands, I imagined it magically dissipating that yucky ole frustration right away. I felt better afterwards … at least till the next frustration inducing incident came along whereupon I just repeated the process. Next time, I just made the conscious choice not to entertain that frustrating thought, reminding myself that it had already be sanitized and had no place here. It’s a pretty good trick. Try it next time you are stuck in traffic and let me know how it works for you. This entry was posted in Uncategorized and tagged anger, bath, brad yates, cleansing, emotions, frustration, guided imagery, guided meditation, magnifcent tappers, meditation, rejuvenating, sanitizer, self-help, soul, tapping, traffic. Bookmark the permalink.